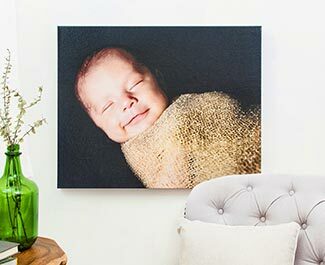 Wood Print Wraps are a striking new art medium through which images are printed directly onto maple wood. This dimensional wall art is available in seven sizes, from 8x12" to 24x36". The edges of all Wood Print Wrap are 1.5" in width. 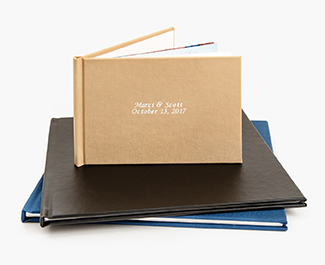 Each piece includes sawtooth notches on each edge for easy and convenient hanging, and is protected by a premium matte laminate. After they’ve been installed, Wood Print Wraps can be cleaned with a dry cloth or a duster. 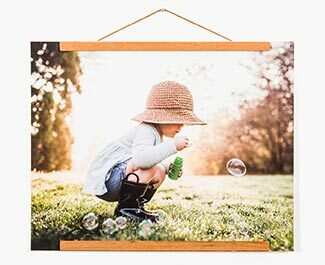 Wood Print Wraps are printed without the use of white ink, so wood grain will feature prominently in the lighter areas of photos. This will add significant depth to shadows within an image. 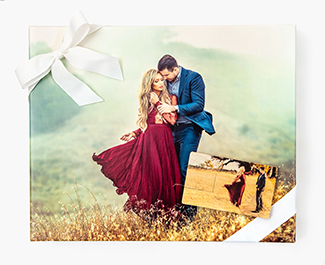 Therefore, we recommend previewing your product before printing darker images or photos in which faces are featured prominently. No two wood substrates are alike, so the wood grain in your image preview may not exactly match the wood grain of your finished product. The direction of the wood grain may vary from piece to piece. 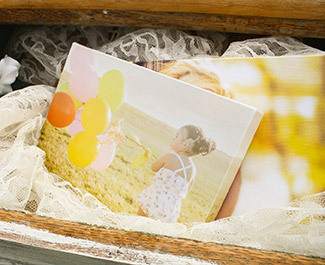 For instance, a landscape orientation photo may be printed on a Wood Print Wrap with horizontal or vertical wood grain. 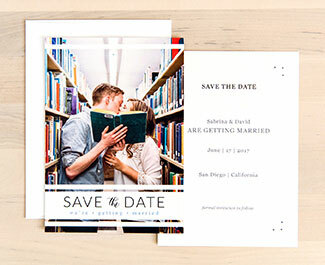 Color Corrections are not available for products printed on wood. All Wood Print Wrap orders leave our facility as Drop Shipments, which means that no branding or pricing information will be included in the package. Standard Ground Shipping from our Maryland lab is available via USPS or FedEx.